It seems that just about every computer manufacturer these days is making an inexpensive, high-definition media player, many of them selling for $100 or even less. I recently reviewed the popular Western Digital WD TV Live ($149 USD) and found it a very good media player, if lacking in a few areas, especially the playing of audio files: it can’t output 24-bit/96kHz digital audio. In my quest to find a media player that satisfies my audiophile sensibilities and my inner video geek, I decided to try Asus’s O!Play HDP-R1 -- I’d heard some good things about it, and it’s a popular choice among audio/video enthusiasts. It has a list price of only $99, but, like most peripherals from computer manufacturers, can often be had at a discount. 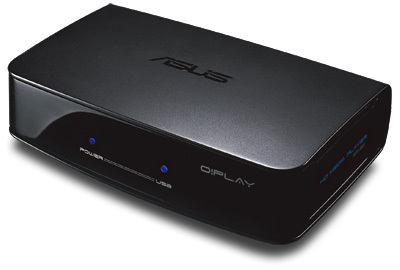 Though a good bit bigger than the WD TV Live, the Asus O!Play HDP-R1 still measures only 7.13"W x 1.89"H x 4.92"D. It looks like a typical inexpensive media player: a black plastic box with front-panel lights indicating the status of power and connection to a storage device. It has both a USB port and a combination USB/eSATA port for attaching storage devices formatted with either FAT or NTFS file systems. HDMI and optical digital audio outputs are provided, along with RCA jacks for composite video and analog stereo audio output. An Ethernet port allows connection to a computer network and access to online media services such as Internet Radio, and TV and image hosting services such as Flickr and Picasa. The HDP-R1 doesn’t support a WiFi connection, which may be a problem for some, but I prefer Ethernet connections for their more reliable, high-speed transmission of high-definition video. (For those who insist on WiFi capability, Asus manufactures the similar O!Play Air.) The HDP-R1 comes with an external power supply and -- unlike many other media players -- a nearly full-size remote control, which I prefer to the credit-card-size remotes often supplied with these devices. The documentation claims that the HDP-R1 supports many formats. Video codecs: MPEG1/2/4, RM/RMVB, VC-1, h.264. Video file extensions: trp, mp4, mov, xvid, avi, divx, asf, wmv, mkv, rm, rmvb, flv, ts, m2ts, dat, mpg, vob, mts, iso, ifo. Audio codecs: MP3, WAV, AAC, OGG, FLAC, AIFF, Dolby Digital AC3, Dolby Digital Plus, DTS Digital Surround, Tag ID3. Image types: JPEG, BMP, PNG, GIF, TIFF. Still, even this list may be incomplete; WMA, for example, is not mentioned. In addition to being able to access files from directly connected USB devices and folders shared via a network, the HDP-R1 also supports Universal Plug and Play (UPnP) devices. The user interface is functional but quite Spartan. It doesn’t support playlists, but music files can be sorted by metadata (album, singer, genre, etc.) from directly connected USB storage devices. Previews are available for video files, and thumbnails for picture files. There are video adjustments for brightness, contrast, hue, and saturation. There is no "go to" function, but there’s a useful Skip function that allows the user to jump forward or back within video files in increments adjustable from 1 to 30 minutes. I connected the HDP-R1 to various USB hard and thumb drives, and to my home network via the Ethernet port. After some fiddling with the security policies of Windows Vista, I managed to get the Asus to access shared folders on my networked PCs, and play media files almost equally from the network and from USB drives connected directly to it. The HDP-R1’s digital audio output must be set, via the menu system, to either its TosLink or HDMI output. Both digital audio outputs can’t be simultaneously active, so I chose TosLink for its ability to output 24/96 stereo PCM (the HDMI output downconverts 24/96 to 24/48). Video was output exclusively through HDMI. I used none of the analog outputs. The video output of the HDP-R1 can be set to a resolution of 480p, 576p, 720p, 1080i, or 1080p, at 50 or 60Hz, and supports 1080p at 24fps. However, when the Asus was connected to my Anthem Statement D2 A/V processor or directly to my 1080p JVC RPTV, the only options available were 480p, 720p, and 1080i. Set to Auto, the Anthem indicated that the video signal coming from the HDP-R1 was 1080i. The Asus’s inability to permit selection of all of its claimed video output resolutions was troubling. Ideally, I would have preferred a source-direct mode, so that any necessary scaling of the video signal could be performed by the Anthem’s Gennum video processing. Not being able to output 1080p from the HDP-R1 was disconcerting, but I achieved very acceptable results with the resolution set to 1080i. The O!Play HDP-R1 played every type of media file I threw its way. Standard- and high-definition video files with file extensions of mkv, wmv, m2ts, and avi all played flawlessly. Not surprisingly, it had no problems with the 16- and 24-bit stereo FLAC and WAV files that now make up most of my music collection. It was even able to decode the WMA Pro audio track on an HD WMV video file I had on hand. Streaming high-resolution audio and even HD video via the Ethernet connection was also problem-free, as was playback from directly connected USB drives. DTS-HD Master Audio soundtracks from M2TS video files were played only as DTS core at 1.5Mbps. Hi-rez, multichannel WAV and FLAC files were played in stereo only. None of these limitations was unexpected; the WD TV Live did the same, and couldn’t play a hi-rez multichannel FLAC file at all. Overall, the HDP-R1’s support of various types of media files was outstanding, and its ability to output 24/96 stereo digital audio through its TosLink output was invaluable for listening to my burgeoning collection of hi-rez audio files. After adjusting the HDP-R1’s video settings, I was able to get a satisfying picture on my 56" RPTV that was comparable in most respects to that of a good Blu-ray player. Hi-def video -- such as an uncompressed 1080p M2TS file ripped from the Inglourious Basterds BD that I use as a reference for picture quality -- looked excellent. The picture was ever so slightly softer than I’m accustomed to, but otherwise the colors popped as they should with a good HD source. There was a sense of dimensionality and a film-like quality to this excellent transfer. One of the early scenes, in which the Basterds interrogate several captured German soldiers, was especially striking. The minute texture of the German sergeant’s wool coat was easily visible, and the lush vegetation and the various colors of fallen leaves looked natural, with a feeling of depth from foreground to background. Although the HDP-R1 played the DTS-HD Master Audio soundtrack only as core DTS, it still sounded fantastic. The haunting whistling and dramatic guitars of Ennio Morricone’s spaghetti western-esque "Il Mercenario (Ripresa)" appropriately accompanied the super-slow-motion establishing shots. Later in the scene, the foreboding taps of a baseball bat and their realistic echoes were perfectly synchronized with the vivid piano of Morricone’s "The Surrender (La Resa)." 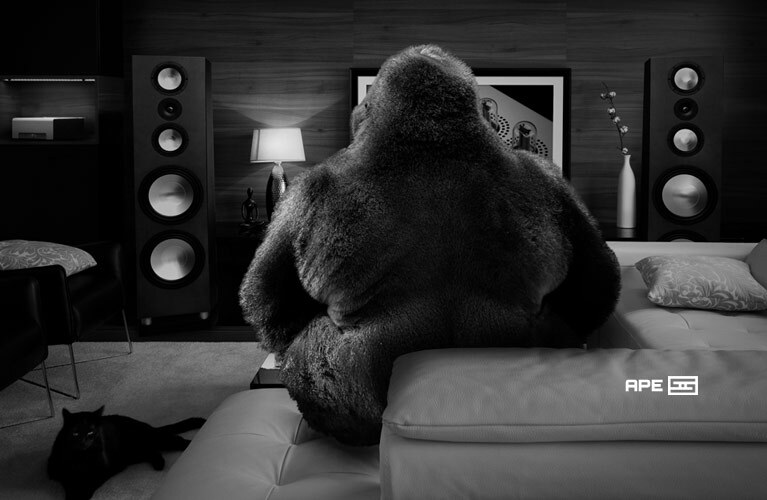 With the HDP-R1, the effective soundtrack was wonderfully musical and very lifelike. Even movies originally from BD that were compressed to 8GB, 720p MKV video files still looked very good through the HDP-R1. I was also able to appreciate all of the superb, deliberately varied cinematography of Saving Private Ryan: Sapphire Series (Blu-ray). In this film, combat scenes are often overexposed and grainy, shot with shaky handheld cameras, while other scenes look quite natural. A night scene in a church is filled with differing degrees of shadow, with some areas pitch-black, and others with relatively brightly lit faces. The more direct light on the faces in the foreground had a distinctly different character from the flickering light of candles and flashlights in the background. This dimly lit scene is beautifully shot, and the HDP-R1 reproduced all of its varying degrees of light and shadow, even from a compressed 720p MKV version. I then evaluated the HDP-R1’s performance as an audio source component: 16/44.1 FLAC files ripped from CDs sounded fantastic. Granted, a lot of that had to do with the Anthem Statement D2, which I was using as a D/A converter and preamplifier, but the HDP-R1 was still a great digital source. Every pluck of strings and slap of guitar on "Keith Don’t Go," from Nils Lofgren’s Acoustic Live (CD, Vision 820761101422), was audible. Lofgren’s voice was cleanly reproduced, but his acoustic guitar just soared, with a bold sound that never became too brash at high volumes. The sustain of an acoustic guitar can be quite subtle, but on this track it was clearly reproduced by the HDP-R1, providing an added dimension of realism. If standard-resolution audio files sounded very good through the HDP-R1, hi-rez files sounded even better. With the HDP-R1 downconverting to 24/96 FLAC and playing 24/192 files I’d ripped from R.E.M.’s In Time: The Best of R.E.M. 1988-2003 (DVD-Audio, Warner Bros. 9362483819), the sound was dynamic, yet rich and smooth. The lush, soothing arrangement of "Everybody Hurts" was juxtaposed with Michael Stipe’s anguished voice as he conveys the song’s painful but ultimately hopeful message. The playful "Stand" was densely layered, with excellent imaging of instruments and voices, both laterally and from front to back. Although the bass in "Stand" is not especially deep, it was incredibly tight and punchy, with great pace. Whether it was the catchy pop sounds of R.E.M. or the perfectly recorded performance of Mozart’s Violin Concerto No.4, K.218, by Marianne Thorsen and the Trondheimsolistene (24/96 FLAC, 2L/HDtracks), or anything in between, hi-rez recordings always sounded superbly detailed, natural, and free-flowing through the HDP-R1. In addition to playing every imaginable type of audio and video file, the HDP-R1 also supports hundreds of Internet Radio stations and TV channels. The video quality of the latter was adequate at best, and the audio quality of the former was suitable only for background listening. But the typically low quality of free online content isn’t the fault of the HDP-R1. Playing compressed 720p MKV files ripped from BDs, I could see no difference in video quality between the HDP-R1 and either the WD TV Live or the Oppo BDP-83 BD player. The 720p MKV file of Saving Private Ryan looked the same whether I played it from a USB drive through either media player, or from recordable DVD media through the Oppo. As mentioned, the uncompressed, 1080p M2TS file of Inglourious Basterds looked a little soft in comparison with the original BD, but not objectionably so. The WD TV Live also exhibited a slight softness with this file, but neither player suffered from a lack of detail with the very film-like and revealing video transfer of this BD. With high-quality CGI animation, which typically looks impressive in hi-def, I couldn’t tell the difference between the original BD of Ice Age: The Meltdown played by the Oppo and an uncompressed M2TS file played by the HDP-R1. The WD TV Live’s reproduction of 16/44.1 FLAC audio files lacked some transparency, but the HDP-R1’s performance with these was very similar to that of the Trends Audio UD-10.1 USB D/A converter that I use as my reference source for these CD-rez files. Both the Trends and the HDP-R1 had a rich, full sound and the ability to extract extremely low-level detail. For example, playing FLAC files ripped from Israel Kamakawiwo‘ole’s Facing Future (CD, Mountain Apple 761268590121), the background was deep and totally "black" through both players. The singer’s breathy voice was perfectly balanced with the delicate sound of his ukulele, both flowing gracefully from the aural darkness. The HDP-R1 held its own against the Trends USB DAC with standard-resolution recordings, but with hi-rez material the Oppo BDP-83 forged ahead with a more refined overall sound. Admittedly, the stereo tracks from R.E.M.’s DVD-A of In Time had a higher sampling rate of 192kHz, but the Oppo just had more depth and layering in the overlapping voices in "Everybody Hurts" than did the HDP-R1. "Stand" had a slightly more upfront sound that gave this lively tune a more immediate feel and better pace with the Oppo playing the DVD-A vs. the HDP-R1 playing 24/96 FLAC files. I then turned to my reference live recording: the 24/96 version of "Heart of Gold" from Neil Young’s North Country, included in Neil Young Archives, Vol.1: 1963-1972 (DVD, Warner/Reprise 075993999662). In this case, the Oppo lacked the advantage of a higher sampling rate, but it still sounded better than the HDP-R1, which made the harmonica sound slightly subdued in comparison. The Oppo was also better able to convey the sense of energy of the young Young and his enthusiastic audience with its excellent retrieval of low-level detail, especially of directional cues that delineate the recording venue. Although not as accomplished as the Oppo BDP-83 is at reproducing hi-rez audio files, the HDP-R1 was still a very capable audio player, and it has the advantage of being able to play hi-rez FLAC and WAV files in addition to myriad other file types. The Oppo requires that hi-rez audio files be burned to a DVD-V or DVD-A disc. And the WD TV Live can’t output 24/96 files without downconverting them to 24/48, which makes it unsuitable for use as a hi-rez digital audio source. The Asus O!Play HDP-R1 is a lot of media player for $99. While it lacks the polished user interface of, say, the Western Digital WD TV Live, its excellent performance meant that it was not out of place in my reference home-theater system. The HDP-R1 has a few operational quirks and a somewhat lackluster user interface, but its admirable video performance, and especially its surprisingly good sound, make it a solid recommendation for anyone wanting an inexpensive media player. It won’t replace a high-quality Blu-ray player or music server in a high-performance system, but as a secondary source for playing the occasional compressed HD video file or 24/96 audio file, it has found a home in my reference system.